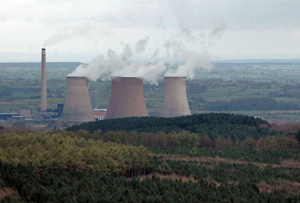 Decades of debate about what to do next in the UK's electricity industry have turned a corner today, after the government granted French firm EDF planning permission to build a new plant. The new power station, which will by the first nuclear power station to be constructed from scratch in the UK in almost 20 years, will be consist of two nuclear reactors at Hinkley Point in Somerset. It is thought that the new plant will create around 25,000 jobs during construction, and 900 other permanent jobs. It is in some ways rather a surprise that a deal has finally come off between the two parties, given that the original December deadline came and went without any signatures, and the energy firm described negotiations as ‘intense’. The difficulties (some of which are still to be ironed out) surround exactly how much money EDF can expect to be paid wholesale for the electricity that the new plant will generate. For those interested in the technical side of things, the new plan will cost around £14bn to construct, but when finished will be capable of generating around 7% of the UK’s entire electricity demand – equivalent to around five million homes. When you consider that the plant will not be built for at least a decade and probably more, the 7% figure actually represents an even larger portion of today’s demand. As far as the UK’s wider energy future is concerned, this is a pretty big deal. Successive governments have been beset with problems getting new builds off the ground. There were plans to build a £12bn underground nuclear waste bunker in Cumbria which the council rejected; last year RWE npower and E.ON ditched plans to build two plants in Anglesey and Gloucestershire (although Hitachi has bought this project); and as recently as last month, British Gas’ parent, Centrica, bailed on its share of a new build plan at both Hinkley Point and Sizewell (in East Anglia).